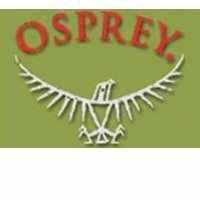 Osprey was started in California back in 1974, and has since then been developing their backpacks to create a wide range to suit many different environments and purposes. They are a company which believes in sustaining the environment, emphasising every users’ responsibility to protect their surroundings, and leave to no trace of passage. What has really made us sit up and take notice is Osprey’s series of eco-friendly packs, made from 70% recycled PET materials. What better way to enjoy the outdoors but by knowing that even the bag you’re carrying is helping to do its bit!